Jamarko - Paper recycling in Kathmandu, Nepal. | Since 2001 | Recycled paper & products. jamarko@gmail.com +977-1-5529495 Jhamsikhel, Lalitpur, Nepal. Jamarko was established in 2001 as a small cottage industry with the view of contributing towards environmental conservation as well as providing employment to the underprivileged, especially women. Through its activities and campaigns, Jamarko helps create awareness about the importance of reducing consumption and waste, and reusing and recycling materials, and provides handmade recycled paper and products as an alternative to consumers. Jamarko opened its own outlet store in 2010, which has expanded its reach in the market. 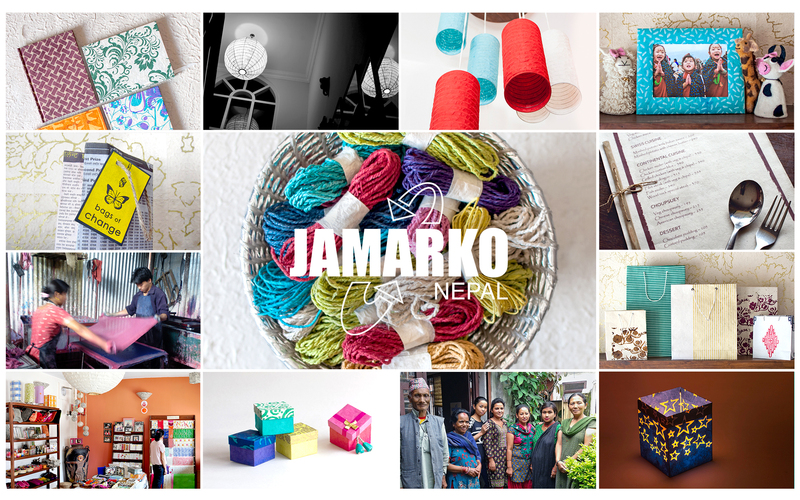 In addition to its recycled paper and products, Jamarko showcases various Nepali handicrafts to support and promote local art and business. We believe there is a high potential for the use of recycled paper and products in our communities. But most importantly, paper recycling, today, has become a necessity to conserve the limited natural resources and the habitat of countless other beings.